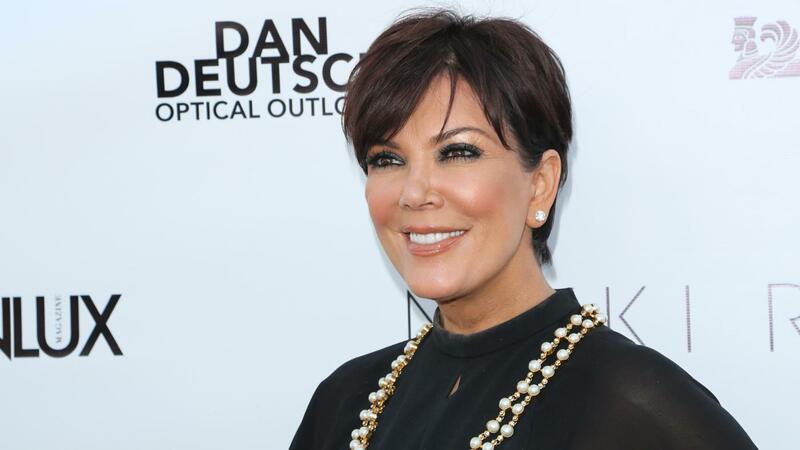 To get a haircut like Kris Jenner, create a longer version of the classic pixie cut shag. The majority of the bulk should be on the top and crown sections of the head with the shortest lengths resting at the lower edge of the perimeter. The hair should be layered using over-direction techniques. Doing this enables the hair to move freely and also gives added versatility when styling. The sides of the perimeter should be undercut to allow the upper layers free movement. Undercutting, also known as inverse layering, is a common layering technique for shortening the hairs closest to the skin, allowing them to curve inward more easily. Undercutting can be done with a razor or shears. When creating a Kris Jenner haircut, the specific lengths to be cut are determined by the balance and proportions of the client's face. Once the hair is shaped, and the specific lengths and layers have been determined, texture the hair to create softness, and allow for the desired styling effects. This can be achieved by using a razor or using shears in a point-cutting technique wherein thin sections of hair are combed up, held between the fingers, and cut with the scissors pointing inward to create points. How Do You Style a Medium-Length Shag Hairstyle? What Are Some Popular Hairdos for Women Over 60? How Long Does It Take Dreads to Lock? What Were Hair Styles Like in the '80s? What Hair Styles Are Recommended for Women Over 60?